The Lakagígar eruption in Iceland during 1783 was followed by the severe winter of 1783/1784, which was characterised by low temperatures, frozen soils, ice-bound watercourses and high rates of snow accumulation across much of Europe. Sudden warming coupled with rainfall led to rapid snowmelt, resulting in a series of flooding phases across much of Europe. The first phase of flooding occurred in late December 1783–early January 1784 in England, France, the Low Countries and historical Hungary. The second phase at the turn of February–March 1784 was of greater extent, generated by the melting of an unusually large accumulation of snow and river ice, affecting catchments across France and Central Europe (where it is still considered as one of the most disastrous known floods), throughout the Danube catchment and in southeast Central Europe. The third and final phase of flooding occurred mainly in historical Hungary during late March and early April 1784. The different impacts and consequences of the above floods on both local and regional scales were reflected in the economic and societal responses, material damage and human losses. The winter of 1783/1784 can be considered as typical, if severe, for the Little Ice Age period across much of Europe. 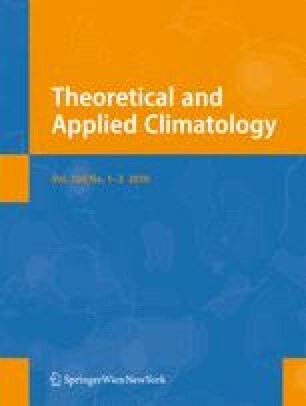 This research has been supported financially by a number of organisations: R. Brázdil, P. Dobrovolný and C. Rohr by the Austrian-Czech programme of scientific cooperation in the project “Climatic Variability and Hydrometeorological Extremes in the Pre-instrumental Period” (AKTION 13/2008); M. Deutsch by the German Science Foundation in the project “Cataloguing and scientific analysis of the meteorological section of the Weikinn collection of sources in the history of Central European weather” (HE 939/ 18-3); E. Garnier by the French group GIS “Climate-Society-Environment” for the project RENASEC “Characteristics and frequency of extreme events in France from 1500 to 1900”, the Centre National de la Recherche Scientifique for the project CLIMURBS and the project “Journal du Hardy” (Collège de France and UQAM); A. Kiss by EU project FP-6 no. 017008 European Climate of the Past Millennium (MILLENNIUM); J. Luterbacher by the EU/FP7 187 project ACQWA (grant 212250); N. Macdonald by an EPSRC-RGS research grant; K. Chromá by research project MŠM0021622412 (INCHEMBIOL). We are also grateful to the Museum of the City of Prague for providing permission to publish Fig. 2 and to Jiří Štrupl (Mělník) for Fig. 16. We acknowledge Marcel Küttel (University of Bern) for drawing temperature fields for December 1783–March 1784 (Fig. 14). The comments of two anonymous reviewers were greatly appreciated in the improvement of this paper.